Since 1954, A1 Service plumbing has centered the benefits of experienced and qualified tohomes and businesses throughout the community. Our technicians trained, licensed, and insured for all Orlando plumbing and service needs, from routine maintenance to extensive renovations and everything in between. We pride ourselves on meticulous attention to detail, competitively low prices, and uncompromised customer service that has allowed our company to flourish for decades. When local residents and business owners are looking for the best and most dependable Orlando plumber, they call on the expertise and professionalism of A1 Service Plumbing! For more than 50 years we have built a reputation on skilled workmanship and integrity. We Have a Truck Near You! Regardless of the type of emergency or time of day, we guarantee fast and friendly service every time. We provide prompt 24 hour Orlando plumbing services to spare our customers the stress and hassle of repairs and estimates that call for immediate attention. No one should have to suffer through the weekend or over a long holiday, waiting for the next available appointment with an uncommitted Orlando plumber. At A1 Service plumbing, you can receive speedy same day service to get your plumbing repairs competently completed with stress, hassle, or confusion. 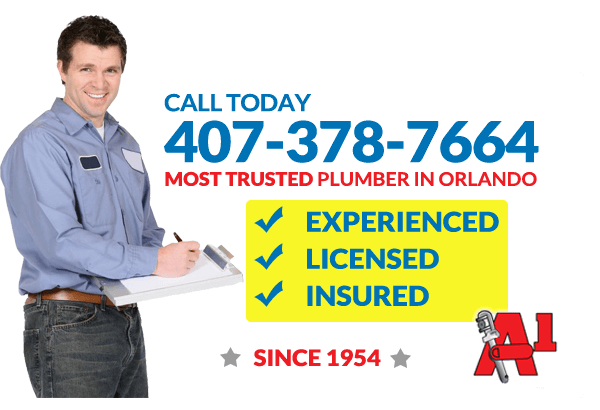 Many common emergency calls for an experienced Orlando plumber involve leaks and burst pipes that must be remedied as early as possible before the damages become exorbitant. Water damage will quickly spread across walls, floors, and carpeting, resulting in wasted water and repair costs that only increase by the minute. Furthermore, many faults in Orlando plumbing are not immediately discernible. Walls, foundations, and toilet tanks often suffer from silent leaks for months before the problem is diagnosed. A skilled Orlando plumber can be available at your door with only a single, easy phone call. Call us anytime, 24 hours a day and 7 days a week. Was your morning routine interrupted by an unpleasantly cold shower? 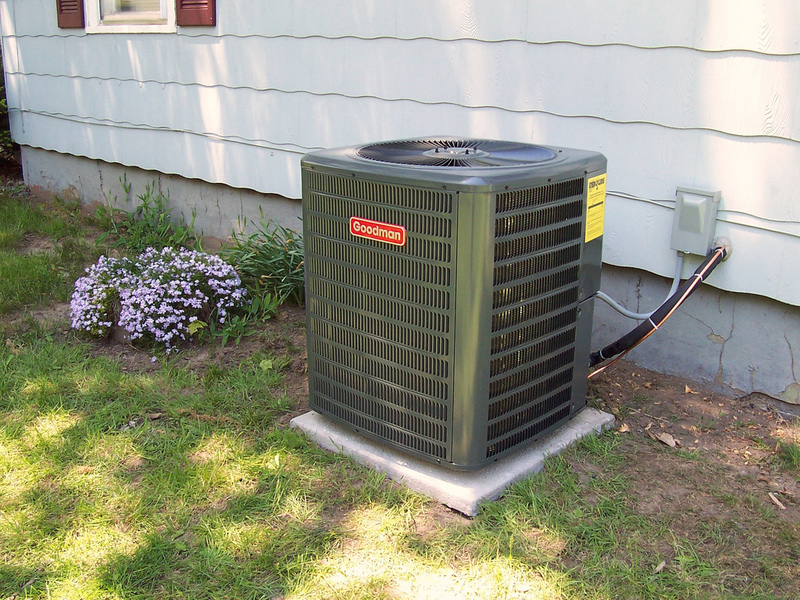 Faulty water heaters are a serious inconvenience that requires prompt consideration. It may even be time to replace your outdated and inefficient model with a brand new one. Fortunately, affordable installations are easy and convenient. At A1 Service Plumbing in Orlando, we believe in providing good old fashioned service with the leading quality products. 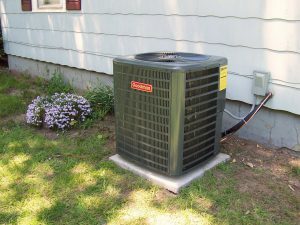 We have authorized service providers for Rheem, GE, and several other name brand industry leaders. Ask about service for a brand new, energy efficient water heater to save money and stress. For all of your service needs, residential or commercial, we have the knowledge and expertise to fix it right. If it leaks, clogs, blocks, or bursts, a reliable expert is standing by to respond. Every detail of every service will be carefully overlooked by the highest trained professionals in the community. We stand behind the quality of our work as the premier Orlando plumber. Customer satisfaction is always guaranteed. In addition to our affordable competitive rates, you can save even more money with our online coupons. Take advantage of our current sales and promotions offered daily for impressive discounts on excellent service. All of these coupons are available for all customers, so we can reliably fix any Orlando plumbing problems within a comfortable or limited budget. Never settle for less when it comes to performance and quality of all your plumbing needs. Call today to schedule your next fast appointment.